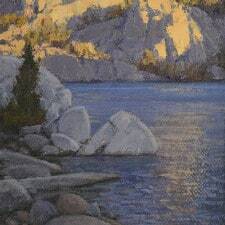 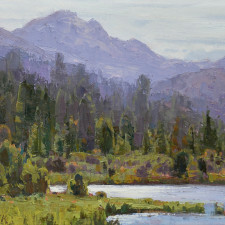 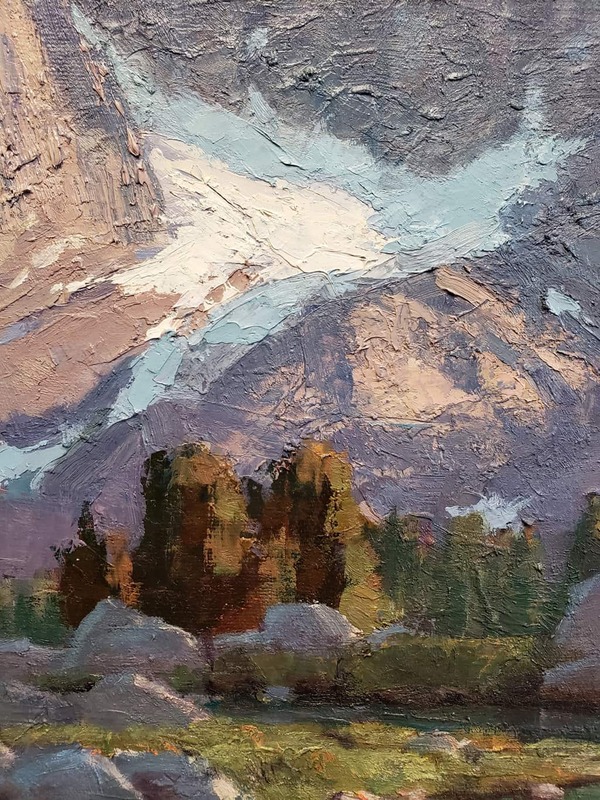 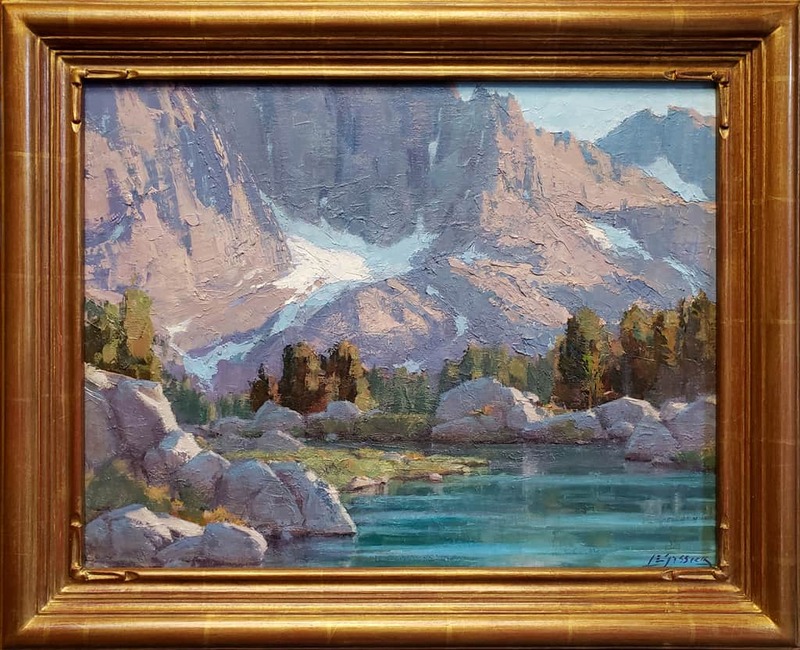 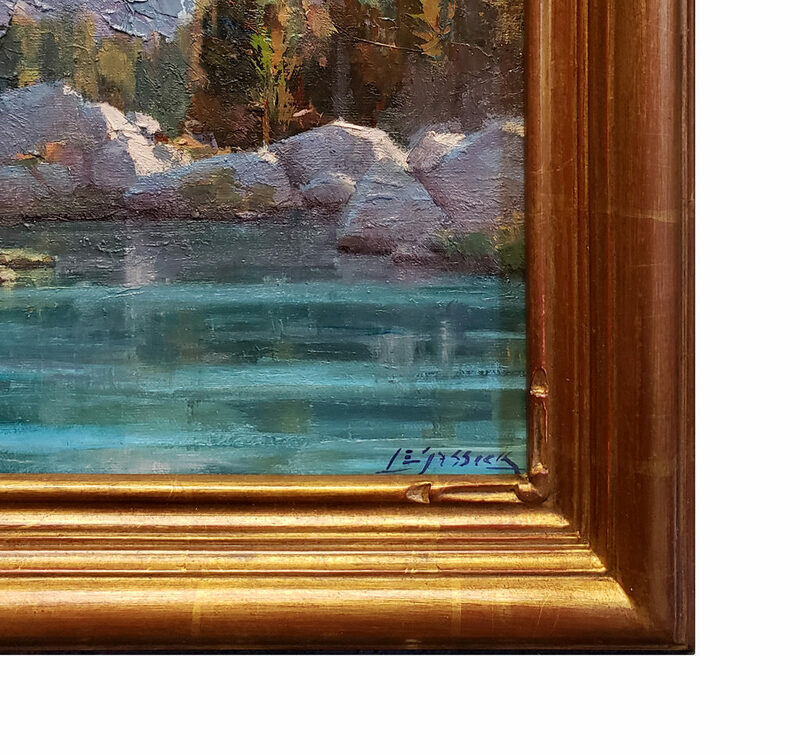 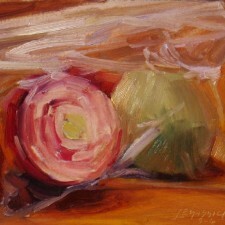 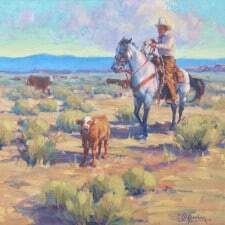 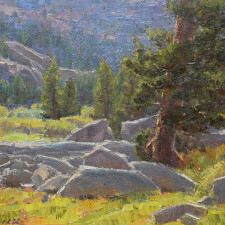 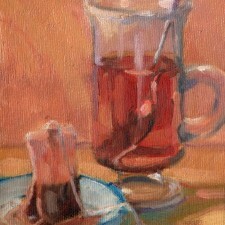 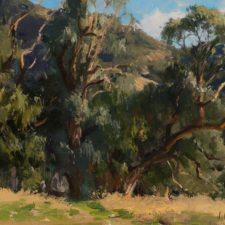 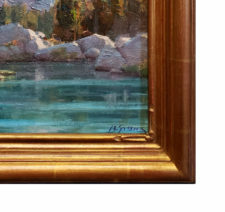 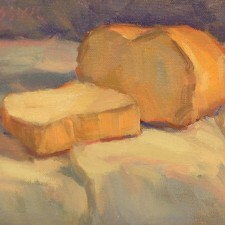 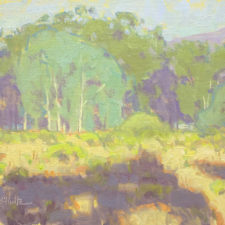 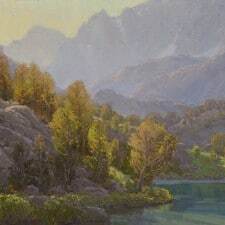 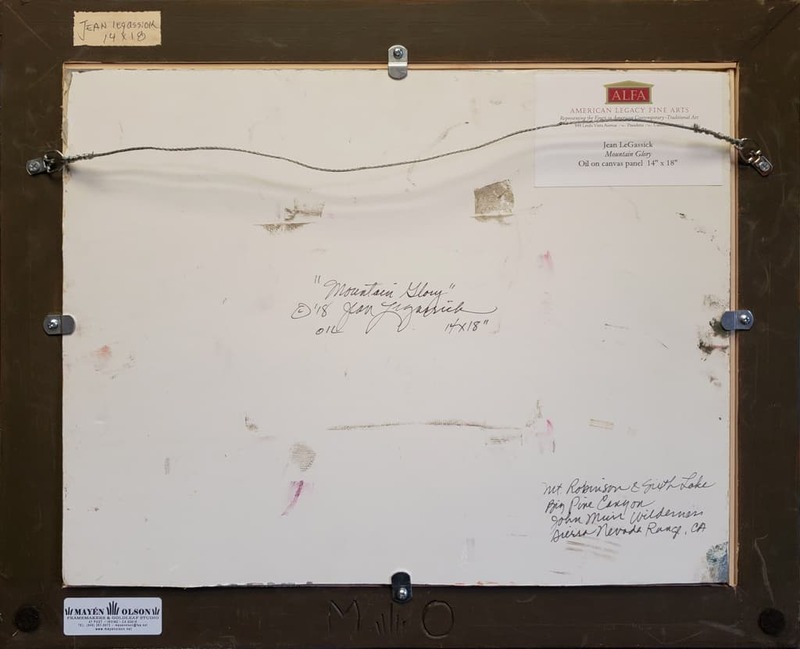 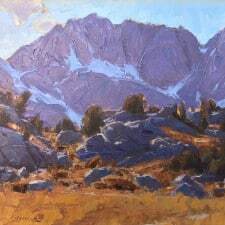 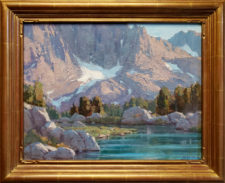 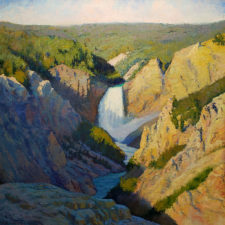 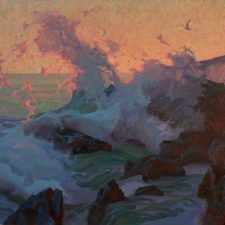 "This painting originated from studies done on several of my mule pack trips into the High Sierra. 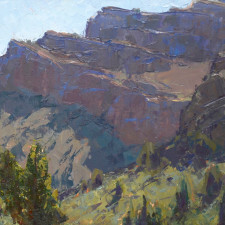 The mountain is Mt. 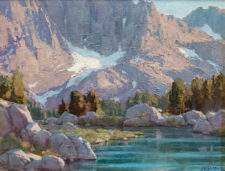 Robinson and the lake is Sixth Lake in the Big Pine Canyon area of the John Muir Wilderness. I camped with a couple of my artist friends near this scene one September a few years ago, and what a glorious thing to wake up to every morning! 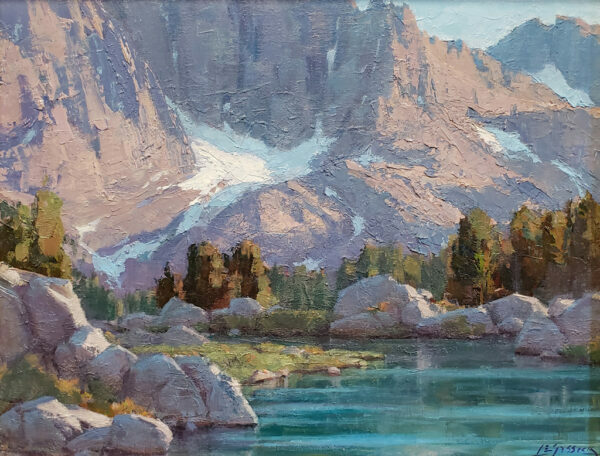 I was going to call this painting Mountain Elements because it has all the ‘whistles and bells’ of a Sierra scene— rugged peaks, snowfields, pine, boulders, and lake— but then realized that that title didn’t capture how I felt about this place, so I re-titled it to Mountain Glory"!